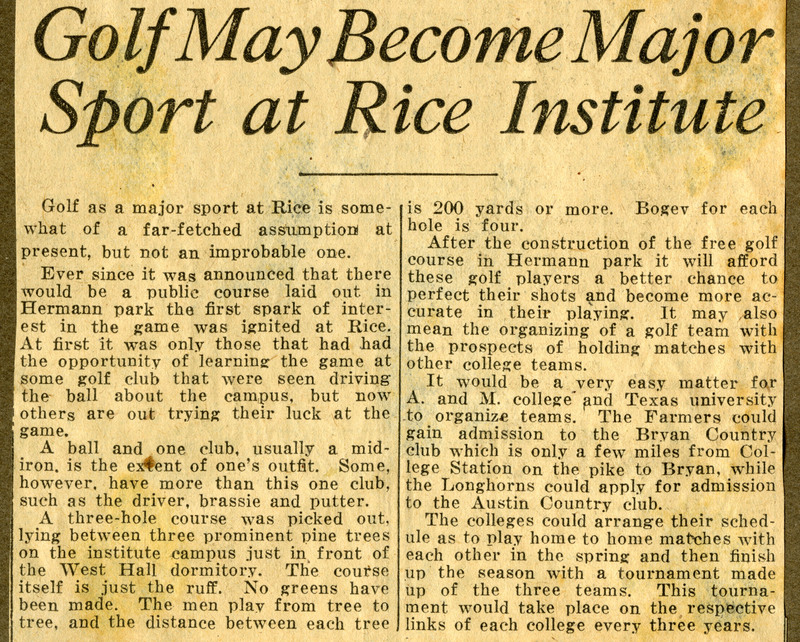 This rampant speculation comes from the Houston Post in 1922, right after the announcement that a golf course would be laid out at Hermann Park. They turned out to be right. 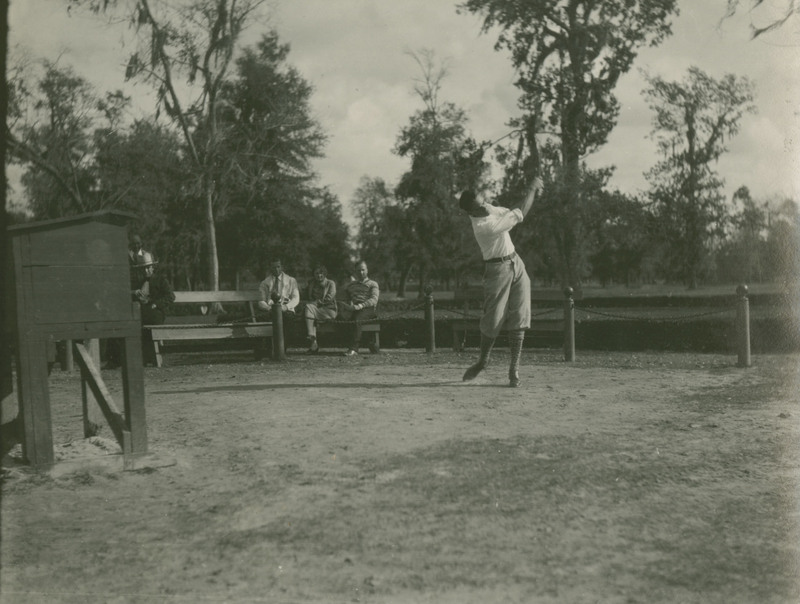 Also note that the Rice student had put in their own small makeshift course on campus—the athletic department did this again decades later. I think I might have a map of it someplace. So now let’s all hit the links! Don’t forget the sunscreen. I know nothing about golf. I wanted to say how much I enjoy your blog. It is the first one I look at when I read blogs. Thanks so much for your kind words. I really appreciate it!